Cross and Cutlass: Lynne Walding's extraordinary Pastor McAlester's Bride! Lynne Walding's extraordinary Pastor McAlester's Bride! Happy Friday, everyone! Today I have a special guest. I read Lynne Walding's book, Pastor McAlester's Bride, several years ago. It was recommended to me by my editor at the time. If I'm honest (which I try to be. LOL) most books I read leave me rather dry, if I finish them at all, but this book kept me riveted to the very end. You can see my review below. Please extend a warm welcome to Lynne Walding as she talks about her book, her life, and why she wrote Pastor McAlester's Bride! The dynamic, compassionate Edward McAlester answers God’s call to serve a small, dying church in southwest Arkansas. Under his guidance, the church comes alive to the work of the Holy Spirit—awakening Satan from his complacency. The Prince of Darkness declares an all-out attack on the pastor’s marriage. And the Evil One hardly fights fair. He sends a misfit handful of demons to lure Edward to Satan’s clutches and destine his wife, Casey, to be the first casualty of spiritual warfare. Their marriage and their ministry seem doomed to fail until God dumps the problem directly into the lap of one of His most trusted servants, Witt Gregory. Caught in a bizarre spiritual triangle, the humble and submissive Witt must make a decision between divine obedience and mortal love when God requires him to intervene in Casey and Edward’s rapidly deteriorating marriage. “I’d close the book momentarily, and look out the window—to absorb what I’d just read. I JUST COULDN’T PULL MYSELF AWAY FROM Pastor McAlester’s Bride. Wow, so powerful! Lynne Wells Walding has a talent for writing about spiritual warfare. I didn't want to put this book down and all I can say is wow. Not even when I read Frank Peretti's This Present Darkness, did I come away feeling so drained and yet content. Pastor McAlenster's Bride will grab you and take you on one fascinating spiritual ride. A ride that will have you gasping at each turn....wondering what lies around the next corner. Again, I say wow. I will definitely be reading more of Lynne's books. Demons ARE real and ARE a real threat.....do not be fooled by their whispers. I encourage you to pick up this book and enjoy the ride! We are surrounded by invisible enemies who are out to destroy our lives, our marriages and our happiness. Don't believe me? Pastor McAlester's Bride may convince you otherwise. A unique blend of the movies Ghostbusters and The Exorcist, Ms. Walding crafts a story that rivals C.S. Lewis's Screwtape Letters, a story that allows the reader a peek into a realm beyond our five senses, but a realm that is no less real. This book dealt with so many topics and in such a real way--love, betrayal, marriage, spiritual warfare, sacrifice, pride, fear, and more--that I had a hard time putting it down each night. A refreshing and poignant look at a subject rarely addressed in Christian fiction. MaryLu Tyndall, Best-selling author of the Legacy of the King's Pirates series. Can be purchased thru Amazon.com, or at LynneWellsWalding.com. 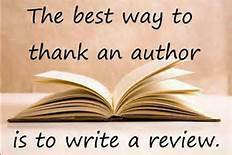 At my author site, you can have it personalized and even have it mailed to a gift recipient . Transplanted from Illinois to Texas in her teens, Walding has moved to Louisiana (her husband’s home state), to the mountains of southeast Oklahoma, and back to Texas again, with her pastor husband, following what they felt to be the Lord’s leading in their lives. “We wanted to go wherever He sent us--but prayed we would end up in the Piney Woods of East Texas.” That’s where most of their children and grandchildren reside. And that’s where they put down their final roots. On a small acreage spread, along with their dog, Sarah, and assorted wildlife. Twenty-five years in the Christian ministry pastoring mostly country churches turned Lynne from what her country-bred husband likes to tease her as “a high-class uptown fancy little dame” into what her grandchildren call a “mountain mama.” It did, in fact change her whole outlook on life, the church, and most importantly, her God. She considers herself “on assignment” from the Highest Authority. Her job: write stories that paint a true picture of the spiritual battle taking place daily all around us, as well as to plant a seed for God in lives that, so far, are untouched by a spiritual longing. Since beginning her writing career, Walding has had three novels published. The fourth is “in the oven.” And countless ideas for more novels brew in her brain at night when she should be sleeping. Her goal is to write a book a year for as long as the He provides the ability. That may not seem overly ambitious. But part of the “benefits package” of her job requires that ample time be spent with family and friends. Orders from the Boss. You can check her website at LynneWellsWalding.com to keep up with appearances and new works, or write her at Lynne@LynneWellsWalding.com. 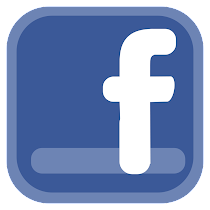 Every contact will be welcomed and answered. For me, stories don’t necessarily fall into place in an orderly fashion. The pieces may be decades old, or revealed just yesterday. Some thirty years ago, one of the ladies in our church came on a Wednesday evening with her clothes and hair soaked and sticky. She was normally very well dressed and neat. Her husband, a business man and pillar of the church had decided that evening he didn’t want to go to church. She was dressed and ready to leave the house. He called her over to where he was reading the paper and drinking a glass of iced tea, ostensibly to kiss her goodbye. Instead he poured an entire pitcher of tea over her head. They’d always seemed happy and connected. Unknown to us, she’d been enduring this sort of abuse for years. That evening she gathered her courage and came to church to share her heartache with her church family. That instance stuck with me as I learned more and more about the havoc that demons wreak in our lives. And I began to wonder how many Christians were hiding secrets like this. Maybe even pastor’s families. And thus, Pastor Edward McAlester was conceived. This was a fictional dilemma I’d conjured up. And I became consumed with figuring out a way this marriage and ministry could be saved, in spite of the army of demons bent on total destruction. I painted myself into a few corners and stumbled down a few dark alleys before it all came to fruition. The solution had to be truthful, believable, and most of all, God honoring. The characters had be real--imperfect, as we all are. Only with God’s help was I able to navigate those tricky waters. And, in the end, the story had to demonstrate to my readers that with God all things are possible. 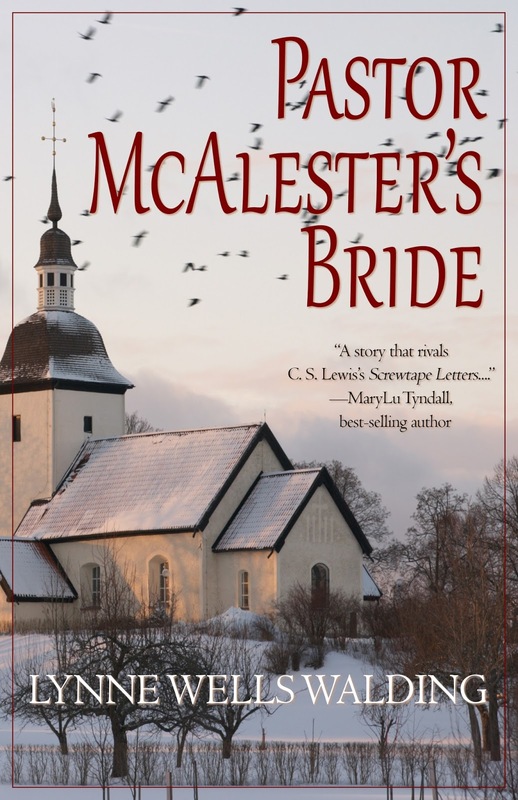 If you purchase Pastor McAlester's Bride from Lynne's website HERE, she will enter your name in a drawing to receive a FREE copy of one of her other two books (your choice)!! She will draw and announce the winner on her Blog on September 11th! Such an intriguing book! Have it on my list! Thanks, Linda. And thanks for dropping by! As you know, I LOVED this book! I highly recommend it to everyone. Thanks, MaryLu, for introducing me to Lynne....and thank you, Lynne, for allowing me to read and review your book. Hugs and God bless! And I thank you, Debbie for your kind words. And also, MaryLu for the introduction that made our paths cross. The greatest thing about writing has been meeting sisters-in-Christ. Blessings! 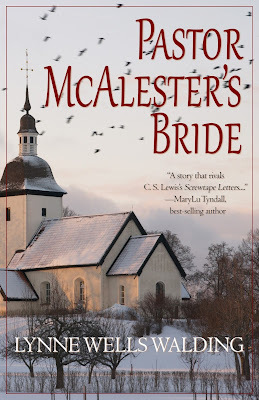 Sounds like a very exciting, inspiring book - I would love to read 'Pastor McAlester's Bride'!! Yes, demons are alive and well in the world - carefully plotting ways to attack us, knowing when we are at our most vulnerable. Although, they're around at all times, twice during the night - was when I most felt their presence. I stayed up all night - praying, reading scripture, playing praise and worship music, commanding they leave in the name of Jesus - and claiming the victory. Once was when I was working in a home for abused and neglected children - years ago, the other was more recently - during a very stressful time in my life when I was home alone. 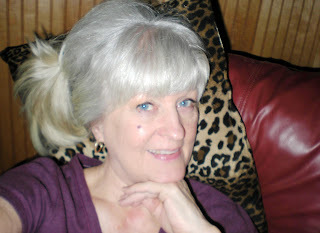 I enjoyed learning more about you and your books, Lynne - I also visited your blog. Thank you for having Lynne on, MaryLu!! Love, prayers, hugs - MaryLu! !